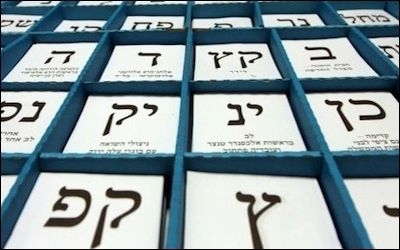 Israeli voters will have a dizzying array of choices at the ballot box this month. According to a Midgam/Channel 2 poll released one week before the March 17 general election, 49 percent of all Israelis see Benjamin Netanyahu, the leader of the conservative Likud party, as the best potential prime minister. Isaac Herzog, Netanyahu's chief contender and the leader of the liberal Zionist Union party, gets only 36 percent. However, the same poll says that the Zionist Union is likely to be the largest group in the forthcoming Knesset, with 25 seats out of 120, against 21 seats for Likud. According to Israeli practice, President Reuven (Ruby) Rivlin will thus first invite Herzog to form a governing coalition. Some explanation is needed here. How come such a discrepancy between the personal popularity of Netanyahu and Herzog and the electoral fortunes of their respective party? Israel's electoral law provides for near absolute proportional representation. Israeli politics start and end with the electoral law, which provides for near absolute proportional representation. The threshold for a party to be represented in parliament is currently 3.25 percent of the national vote, which translates into four seats. Such system is an incentive for every political leader to start his own party, either as the advocate of a given constituency or as the promoter of some new political agenda. As a result, the political class is constantly in upheaval, and larger parties, which in fact are not large at all, constantly break up into smaller units. What counts is coalitions. For the first twenty-nine years of the State of Israel (1948-1977), the Labor party, itself a conglomeration of at least three smaller groups, was able to build up a large coalition with the religious parties and some centrists. What helped Labor was that being in charge in a nation-building era meant being the de facto national establishment. In 1977, Likud under Menachem Begin was able for the first time to build an alternative coalition. Many former supporters of Labor had defected to Begin's Likud which, ironically, had come to be seen as the true defender of the working man and the underdog. The religious parties switched allegiances. And a substantial centrist party, Dash, popped up for the first time and joined the new majority. Ever since then, there has been some sort of right/left alternation in Israel. The moment it lost power, Labor lost its grip over at least part of the elite. Moreover, demographics favored the conservative parties, which rest on more family-oriented and thus steadily growing constituencies. In 2005, Likud prime minister Ariel Sharon, arguably one of the strongest political leaders in Israeli history, simply deserted his own party, which had rebelled against him, in order to create a new centrist-oriented coalition with some Labor defectors. Four years later, Likud was back with Netanyahu, and it managed to hold for six years with two successive coalitions. Until it faced both tensions with smaller allies and internal dissent. Labor, under Herzog, is doing slightly better than Likud in the polls because it struck a deal with Tzipi Livni's diminutive Hatnua party. The opposite is true of Likud: it was divorced by Israel Beiteinu, Avigdor Lieberman's secular nationalist party, popular among Russian immigrants; it lost its populist-reformist wing, led by Moshe Kahlon, which resurfaced as the new Kulanu party; and it was not able to achieve an understanding with HaBayit HaYehudi, the religious nationalist party of the maverick high-tech entrepreneur, Naftali Bennett. Had the four conservative parties have united, like Labor and Hatnua, they would have garnered far more seats (though fewer than the sum of their individual polls). Whatever the March 17 outcome, the medium and small parties will decide the future Israeli government. Whatever the March 17 outcome, neither Likud nor Labor will decide the future Israeli government, but rather the medium and small parties. One may guess that every mini-leader will be tempted to sell himself to the most promising coalition. Still, politics, even in Israel, has to do with some principles, and the will of the people when it comes to some crucial issues. If principles are to prevail in the end of the day, Netanyahu, as indicated, is in better shape than Herzog. The final choice will be indeed between a center-right coalition around Netanyahu and a center-left coalition around Herzog–except that Herzog could, theoretically, try to add the support of the Arab List, which will probably win 12 seats. But this is less likely because the Arab List is a coalition of three smaller Arab parties who stridently oppose the very existence of Israel as a democratic state with a Jewish majority. One wonders of course why Israel has not been able, over the years, to move from proportional representation something closer to the first-past-the-post system. One answer is that, as a very diverse "patchwork nation" — Jews, Arabs, and other minorities, Ashkenazim and Sefardim, secular, or religious — Israel cannot afford not to grant representation, or the semblance of representation, to everyone. Another answer is that some constitutional reforms have been introduced since 1992, with mixed results or even very bad results. One attempt to have the prime minister popularly elected turned the Arab minority into a de facto arbitrator, and was quietly dropped in 2000, in the wake of the Second Intifada. Even raising the threshold in proportional representation does not seem to work. When there was no threshold at all, larger parties were faring better than they are today.